Although one of the primary purposes of a transrectal ultrasound is as part of a prostate exam, there are also other applications as well. No matter what type of transrectal ultrasound system you currently operate, UsedUltrasound.com can deliver quality used transrectal ultrasound transducers at the lowest price. We have years of experience in the ultrasound industry, and that means we have the connections to acquire used ultrasound equipment at significant savings and then past that reduced cost on to you. 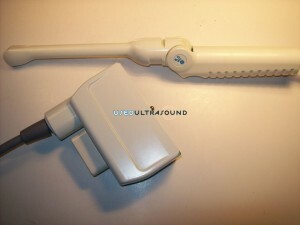 Contact us today if you need a price quote on any of the used transrectal ultrasound probes for sale on our website. When it comes to selling refurbished transrectal ultrasound equipment, it’s hard to beat all the advantages offered by UsedUltrasound.com. In addition to selling used ultrasound probes and transducers at up to 60% off the original retail cost, we also provide a complete satisfaction guarantee so that you can be with complete confidence. UsedUltrasound.com is registered with the FDA and based in the United States, so you can easily contact us via email or our toll free number. We know that you have other options for where to buy transrectal ultrasound probes, so we are happy to provide current pricing information on any piece of equipment in our inventory, even if you are only at the stage of comparing prices and not looking to buy right away. 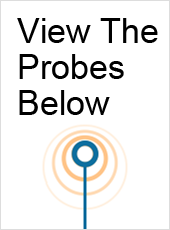 We can also help you locate virtually any refurbished transrectal ultrasound equipment you need, even if you do not see it listed on our website. Besides selling used ultrasound equipment for less, we also provide cost savings with our ultrasound service and repair contracts, which can be tailored to meet your individual needs. Contact us today for the latest prices on used transrectal ultrasound transducers or if you have any questions at all about used ultrasound equipment.